Buy, Rent or Skip Kiss and Sell: The Making of a Supergroup? 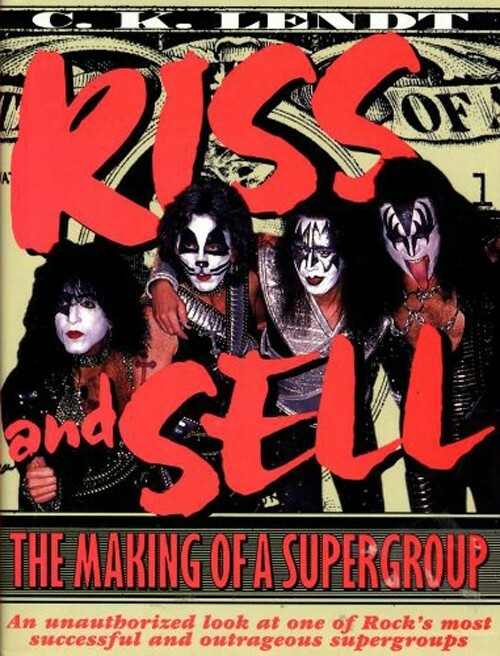 Based on the cover of the book, I went into Kiss and Sell: The Making of a Supergroup with the idea that it would cover some, if not all of the Reunion Tour of 1996. Wrong. After reading the entire book, nothing is said about the Reunion Tour other than one sentence at the end of the book, about it being the highest grossing tour that year. I should have known based on when this book came out (1997), that this was nothing more than a cash grab to capitalize on KISSmanina from the previous year. It's true, you never should judge a book by it's cover, especially when they use an image from the reunited KISS. Furthermore, the author of the book wasn't even part of the KISS family when the Reunion happened. He had been fired a few years before and had nothing to do with anything significant with the band other than being a low level fly on the wall. With that said, there were parts of the book that I did in fact enjoy, especially the stories behind the Dynasty, Creatures of the Night and Lick It Up Tours. The years that came after that from Asylum to Revenge as well as the KISS Konvention were also intriguing to read about. It does paint a different picture of their Tours (the ones that I attended) and how close to bankruptcy they were with each tour. This book is really for the diehard KISS fan and even they, patience is going to be in short supply, especially when it does a 180 degree turn and starts talking about Diana Ross, which when on and on and on and made no sense as to why one would include so much information about her when it had nothing to do with KISS. Worth a Rent for said KISS fans. Tread lightly. Personally, it's a book I will never revisit again. Agreed. It looks like he got his hands on Photoshop and that was the first "design" he came up with.